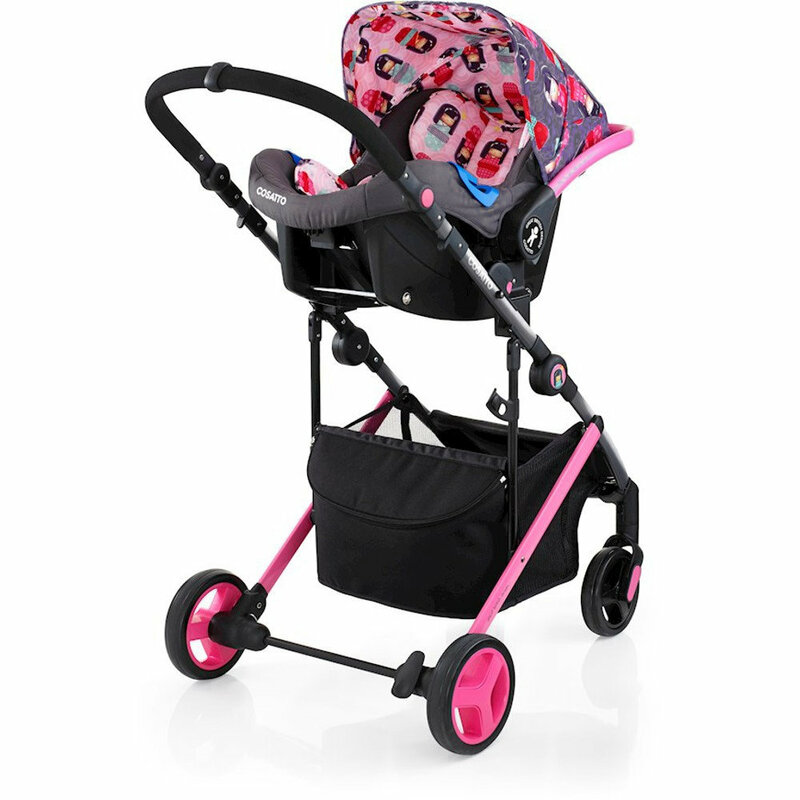 Dream along with Wish, the 2 in 1 travel system that lets you connect with your baby on the go. Suitable from birth, there's no need to buy separate pram, pushchair and car seat carrier, Wish does it all in one intuitive unit. 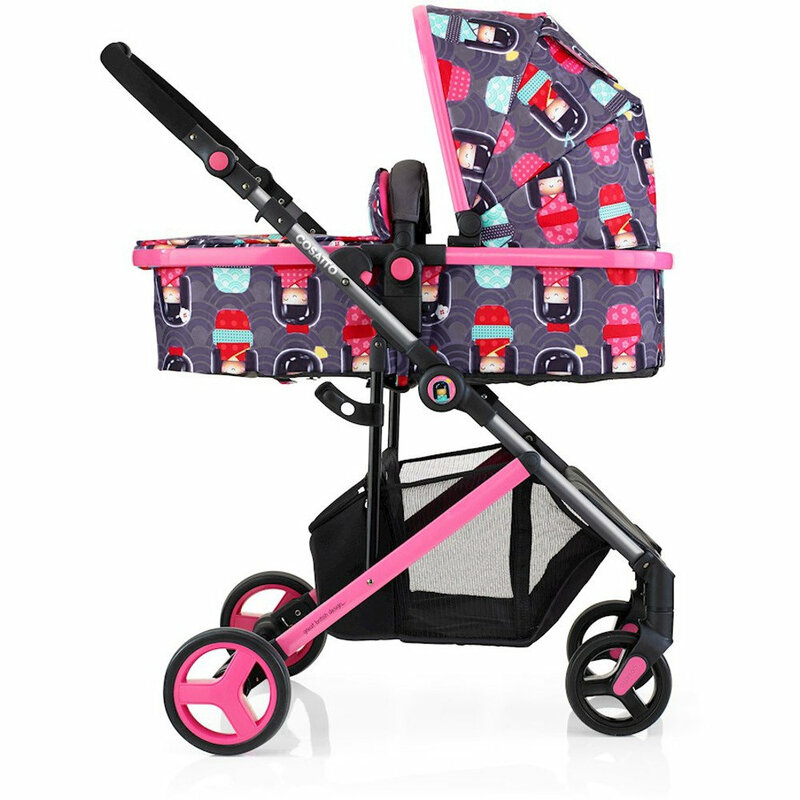 It's your travel system with pushchair portability and a compact fold. Super-lightweight and compact this nifty folder has playful square tubing that gleams. 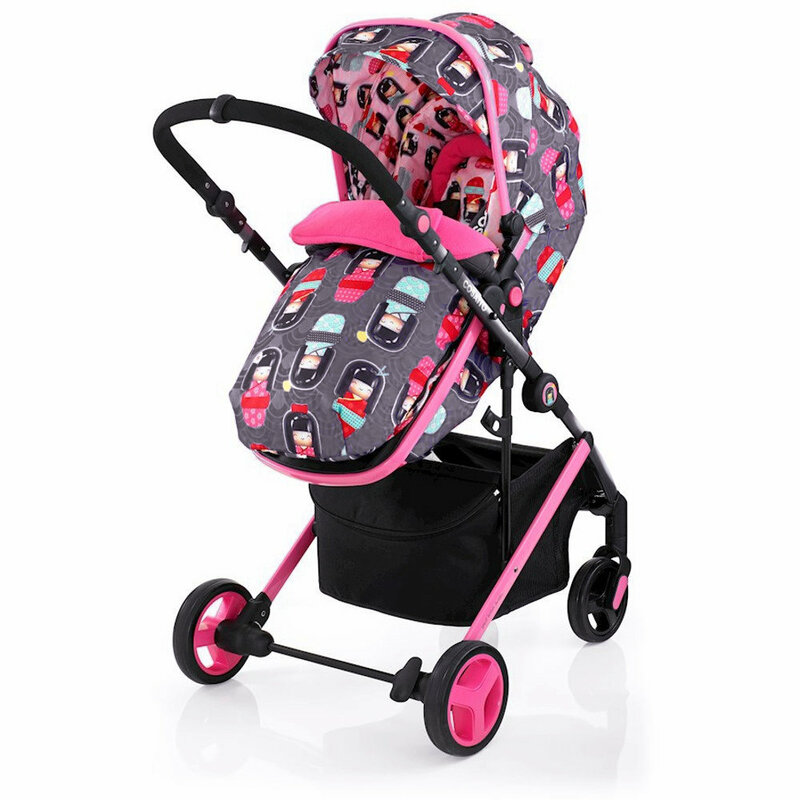 Press a button and the two way pushchair slides and smoothly converts into a snug-sided pram mode. 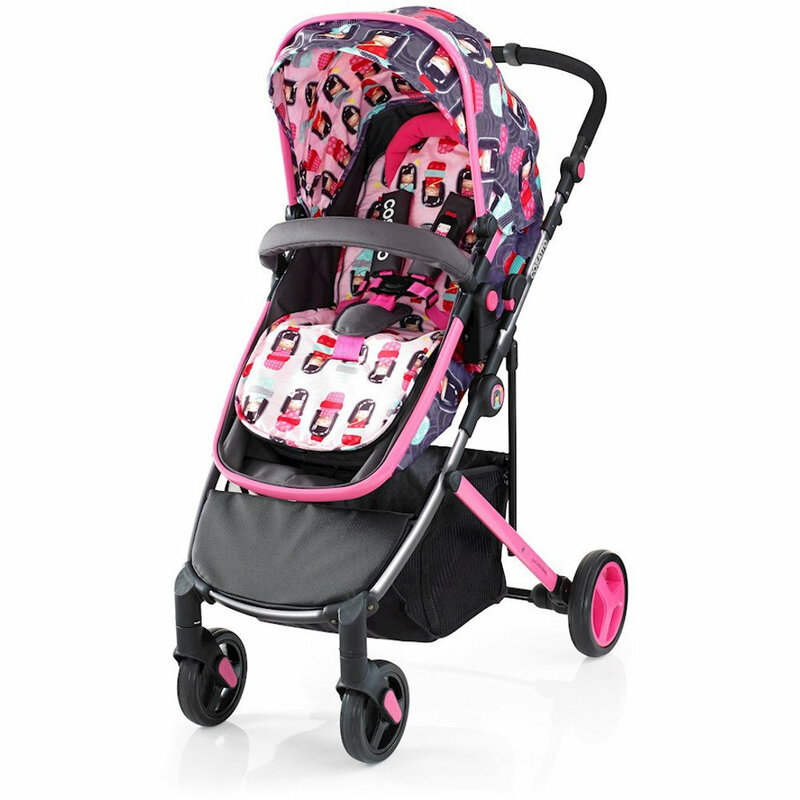 Wish has Cosatto 'Close Up' technology that lets you stroll closer to your baby. Just press a button and you can glide the unit up the frame nearer to you. 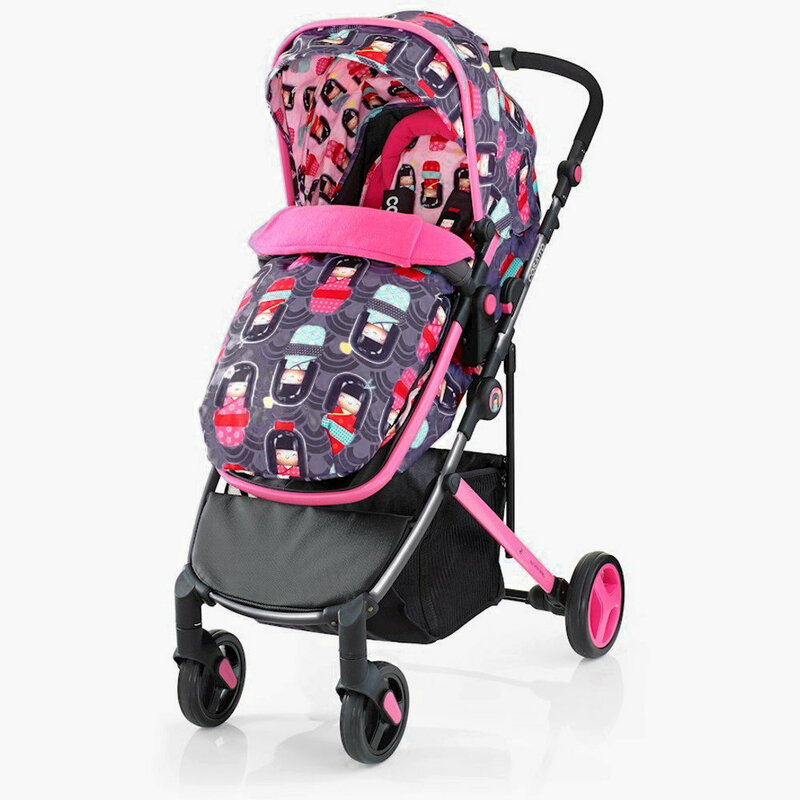 Duo-directional pushchair mode lets your dot face you and chat for an even greater bond or face out and discover the world. Wish is compatible with matching Port 0+ car seat (included) for a pop on-and-off A to B without waking your passenger. 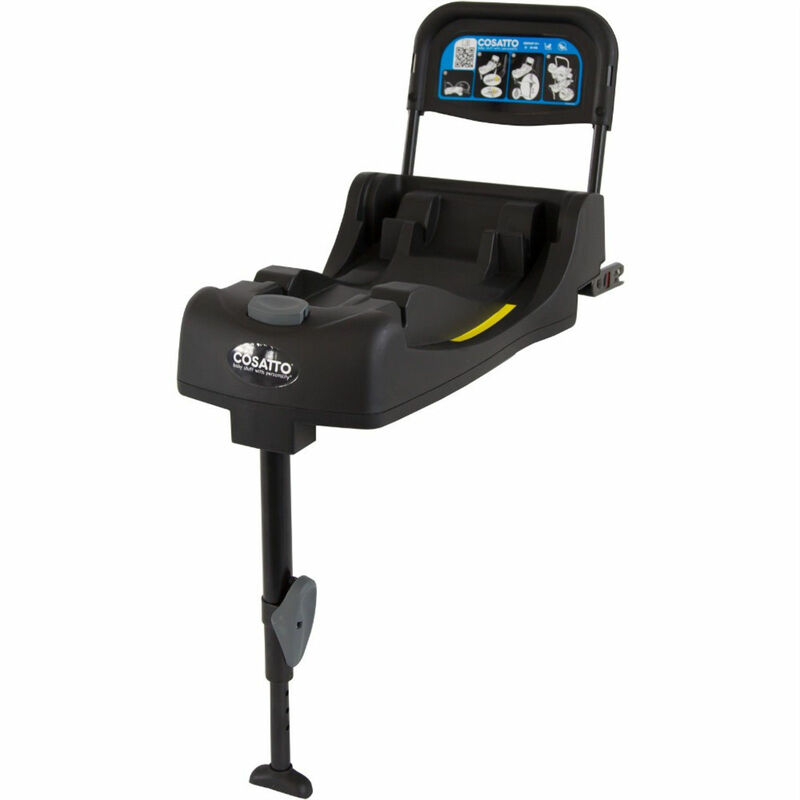 Port is also compatible with its own ISOFIX base (included) for sturdy anchoring in your car. If you’ve got ISOFIX anchors in your car (and nowadays most cars do), then just pop your Port 0+ car seat on and off your in-situ ISOFIX base. ISOFIX is minimal faff - just simplicity with a satisfying click that lets you know it’s fastened securely. This is the ultimate in click 'n' go convenience. Handy quick release buttons let you move your baby bundle from car to shops with no wake ups. Wish grows on the go and adapts without add-ons. Great for bus-hopping busy urbanites. 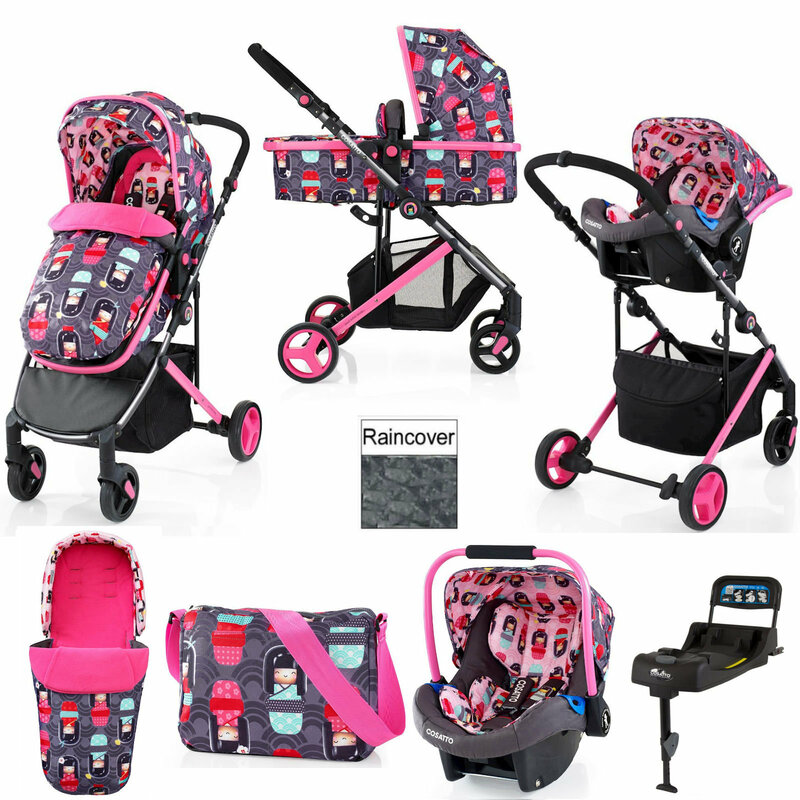 With cosy accessories, including chest pads, tummy pad, reversible liner with zip off bumper and footmuff, protective apron plus raincover and sunvisor, Wish is your any-weather hero. Sling the changing bag over your shoulder and you're good to go. 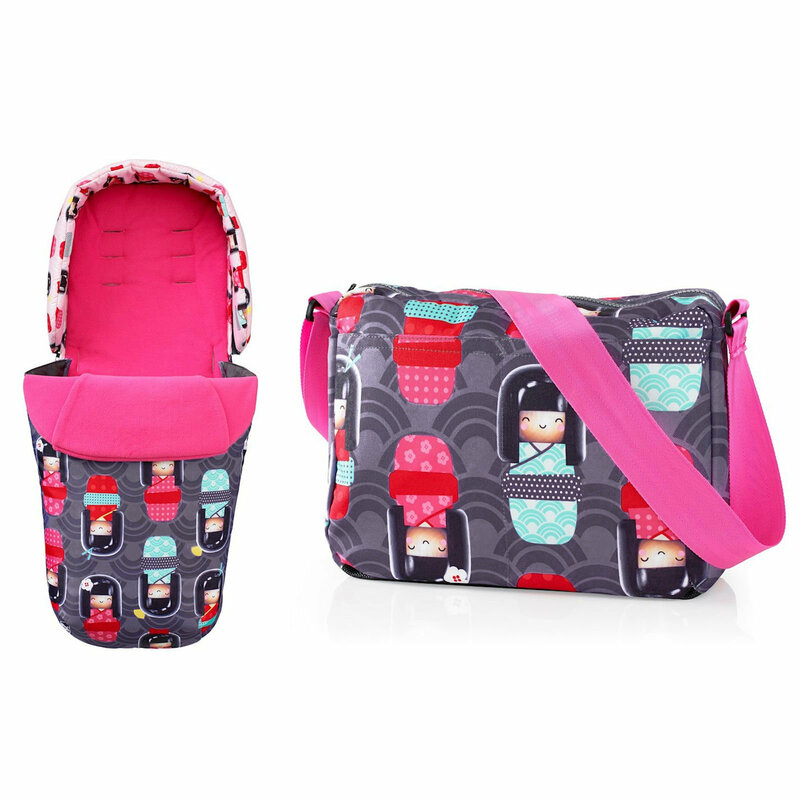 Drive your little doll on the sweetest adventures with Cosatto's Kokeshi Smile design. Every town's Tokyo with this East meets West pattern on board. Make friends with every passer-by as they smile at this exquisite beauty. Bringing Cosatto's trademark friendly handwriting to innovative photographic print processes, these ditsy dolls wear cute kimonos with varied intricate patterns against an art deco background. Red, pink, grey, soft mint green all mingle above a glorious pink chassis. It's a carnival of Japanese colour and art. Kokeshi dolls were originally used to put messages of friendship inside. Pop your little friend in Kokeshi Smile and the world will smile back.